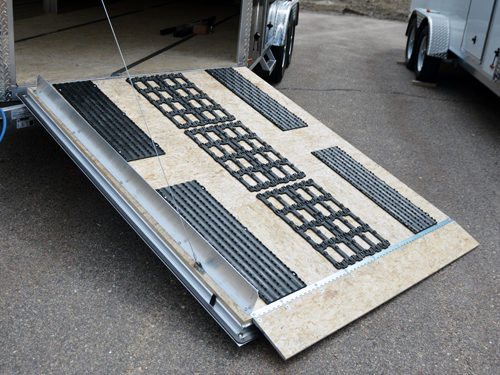 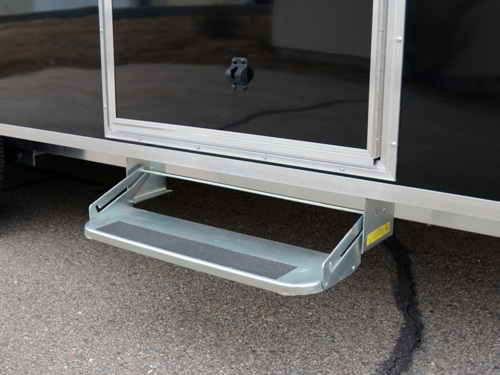 These ski doors are standard on our S101 series trailers but they definitely make life easier tying down that first snowmobile on our IS7 series trailers as well. 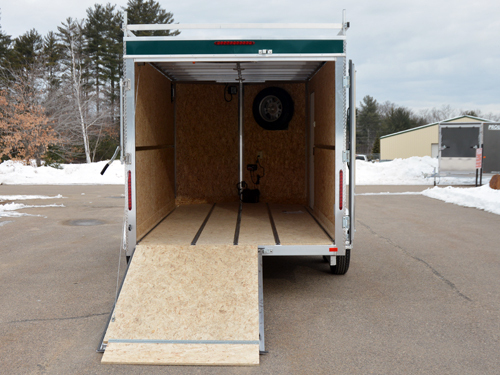 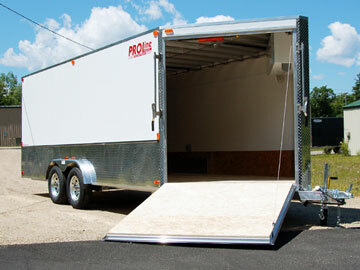 Doors are 24″ square and open to the side so you're not climbing over or under a door to tie down your sled. 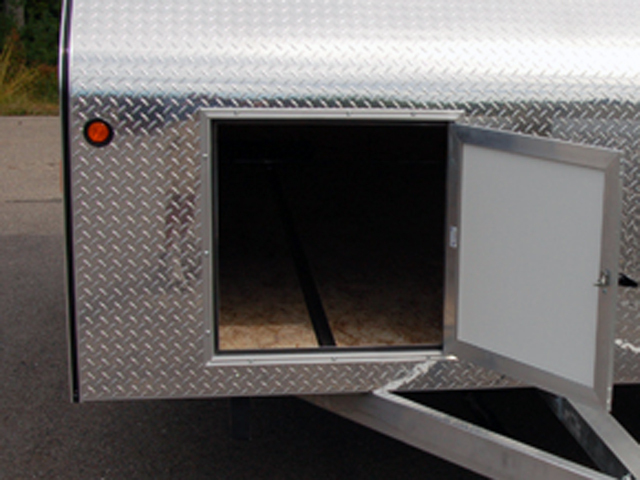 All Ski Doors come with a locking T-handle with the lock cylinder behind a removable rubber salt shield.